After ghostwriting one book, getting another one published and nearing the completion of writing a third, my fourth book project is in development. This one, called OUTSIDE THE TOUCH OF TIME, will be about my mother and her 13 siblings, sometimes referred to as the LaBrake 14. The eight girls and six boys, raised on the family farm in Lisbon, New York, were born between 1933 and 1955. 11 of them still live in New York State, while one sibling lives in New Jersey and two live in New Mexico. The book will consist of stories, observations and insight into growing up in a large American family pre- and post-World War II. I will be conducting one-on-one interviews later in the year. Funding is necessary for this project, and a fundraising page has been set up on IndieGoGo to provide more details about the book and give interested parties an opportunity to contribute any amount they deem suitable. 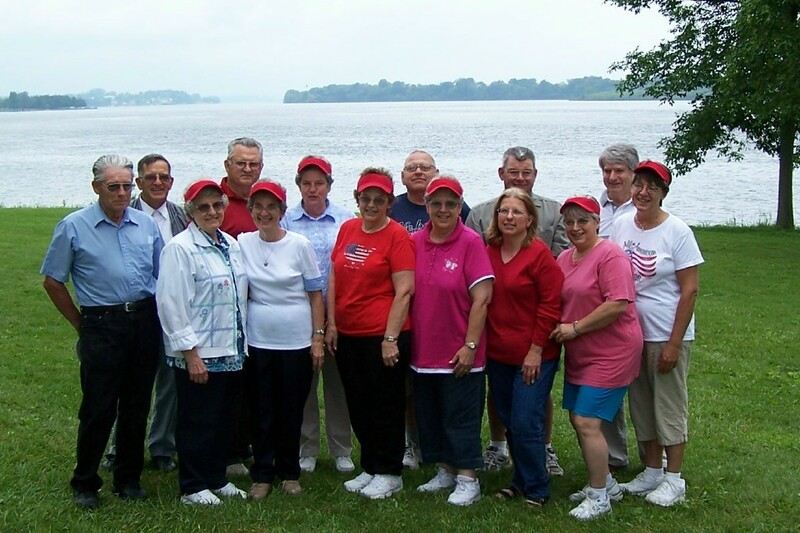 The 14 LaBrake siblings gather in front of the St. Lawrence River in Lisbon, New York during a family reunion in 2008.